Sets up Santo versus Aristoteles in a mask match. title change! Bad rainstorm during the match. Best match. 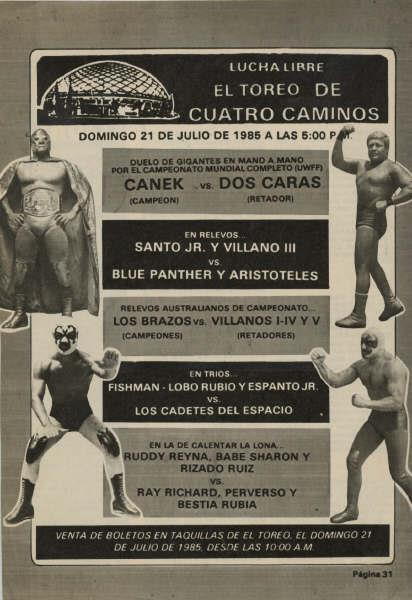 Canek took 2/3 to keep the title. Yuma and Dama de la Camelias were debuting. Chela replaced Zuleyma.